It’s Easter Bunny’s birthday and he is throwing a party. Just when he thinks he has got everything organised he finds a basket of eggs he hasn’t delivered. He must get the eggs to their rightful owners quickly because the eggs are about to hatch. 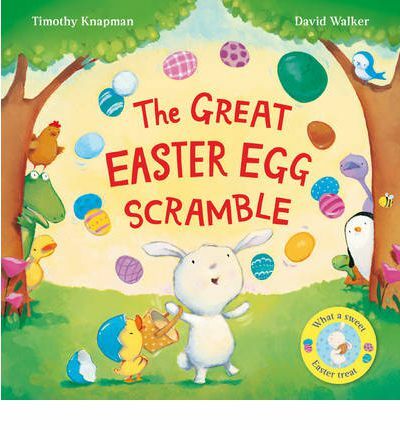 He even has a rhyme that helps him remember which eggs to deliver where. This is only good as long as he remembers it in the right order, so what happens when he rushes and gets it all mixed up. The simple text makes for a fun story of mix-ups that younger children are likely to enjoy. The simple illustrations are easily recognisable with plenty of colour to draw the eye. A story for easter with a little twist.